AddToGamesDb: A plugin to help automate the process of submitting all of your game information and images from your collection to the LaunchBox Games Database. This plugin makes use of an application traditionally used in automated testing (Selenium) to automate the process of submitting games to the LaunchBox Games Database. It will open an instance of your default browser (provided that browser is either Chrome or Firefox. If some other browser is your default, it will try to open Chrome), and attempt to submit the selected game to the LaunchBox Games Database based on the information provided in your collection. Note: For this plugin to work, you will need to have either Chrome or Firefox installed. If you have both installed, it will use whichever you have set as your default browser. If you are using Firefox as your default browser and have enabled Firefox Profiles, please note that this will run under the default profile. For any and all other cases, Chrome is the preferred browser. Note: If, in editing your collection, you are prompted to download an update for the LaunchBox Games Database, afterward you will need to close and re-open LaunchBox for the plugin to detect the changes. Try to submit the problem game, if it is a particular game causing the issue, or another game in general otherwise. Feel free to post the error and preceding trace either on the plugin's support page or PM me either the entire log or the part pertaining to the last issue, whichever is easier for you. From there, I'll investigate and make any updates necessary. Context Menu (right-click menu) does not refresh on Audit window. 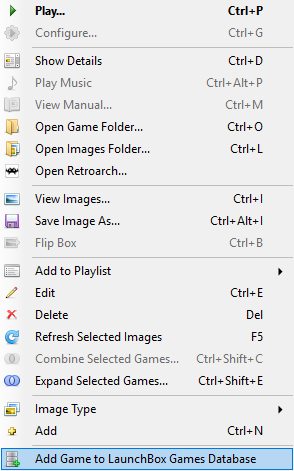 If you update the information for a game in LaunchBox (clicking Edit from the right-click menu for the game), you will need to click away from the game (click some other game, for example), and then right-click on the updated game again for the context menu to update. Even without doing so, however, the correct process should run even though the text and icon on the menu haven't yet updated. A lot of work has gone into stabilizing the initial release and this latest release, but if you encounter any issues, please let me know and I will be glad to work with you to update the plugin accordingly. Thanks, Jason, for providing your amazing software and thanks again to Jason, the LaunchBox staff and the community for your support in developing this plugin. Hello, I thought I would gather everything in one thread aswell upload all files, with my fork of PSCX2 Configurator, all I have added to the code is lines to use nuvee ini files. This awesome tool was created by alec100_94 all credits to him, I saw an opportunity to fork it and add nuvee support especially for lightguns. All info how to use the PSCX2 Configurator can be found in alec100's post. As the original plugin, it works exactly the same but with the added options of Nuvee, I was too noob to push it into github, I tried but ended up making 10000 patches which I couldn't understand. I have attached the Nuvee plugin from Shalma which still works in PCSX2 Today, this also includes calibrations for 1080p screens, you might need to redo the calibrations depending on your screen, but information in a code blow. Follow the guide and copy the files to which pcsx2 config you are using, to calibrate you need to use mouse hack then disable it and use load state inorder to get 1:1 gameplay. I thought I gather all information here in order to make it easier for people to use nuvee pscx2. GameManualViewer: Adds menu item "Game Manual 8D" (string is customizable) to the game details menu in BB, if the game has an associated PDF manual. When activated, the PDF will be read and converted to images on the fly for display within BigBox; it will not launch an external program. As occasionally some manuals take a few seconds to load, an animated GIF is displayed while you wait. The gif is currently a space invader, but I might add customization in the future. When viewing the PDF manual, use the standard keys (or gamepad buttons) used to navigate around BigBox. PlatformAuditor: Adds another media audit tool for LB with support for OCD-type personalities. This can help you quickly find a platform's missing game media and rename media according to the game's title. It can also be used to delete superfluous media. It works for images, manuals, music, and videos. As with any tool that potentially modifies your library, consider backing up your media folders before using this. PlatformExporter: Adds a simple way to export games including metadata and boxart to other applications. Currently, the only application to which it exports is EmulationStation. Support for other applications might be added in the future, if there is enough demand and I have enough time and interest in doing so. PlaylistGenerator: Adds playlists to your library but does not otherwise alter your library. Playlists are regenerated each time LB/BB is started. You can add your own media (videos, banners, etc) for the playlist, in the same way you would for manually generated playlists in LaunchBox. This media will not be overwritten when the playlists are regenerated. You can customize the names of these playlists and number of games added to each. 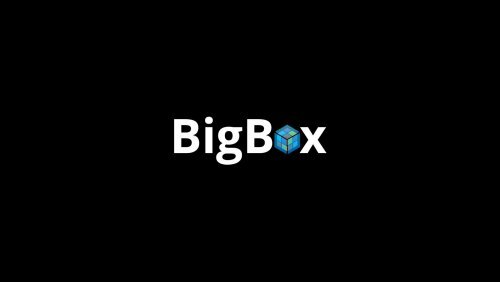 This plugin allows you to add online videos to your game, which will appear on the game's menu both in LaunchBox and BigBox. Mainly, it supports YouTube and Steam videos. 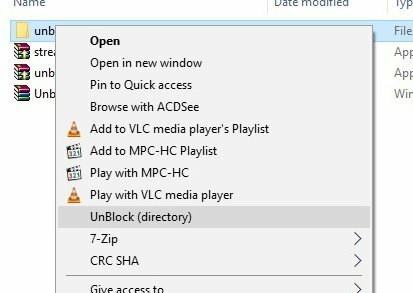 The videos get played by LaunchBox's portable VLC distribution, so you don't have to worry about having the right video player installed. There is a new menu item on the game's menu in LaunchBox, allowing you to manage your game's video links, which can be seen in the following screenshot, along with two sample video links. Once you open the video manager dialog, follow the on-screen instructions (and click "More info") to add, edit or remove your video links. Plugin for importing games from gog.com. Readme and source code on github. Probably won't work on 32 bit systems. There is a new beta version of the plugin available for download. I’ve been working hard over the last few months to complete this major overhaul of the plugin, and I’ve decided to release this beta for those wanting an early peek at the new features. This new version works in a fundamentally different way when compared to the old version. The biggest change is that there is now a universal toggle to enable/disable the plugin, and when enabled, any game/emulator launched through LaunchBox/BigBox will now be launched via Steam, without the need to select the “Launch via Steam” context menu item. Nearly all of the limitations of the old plugin are now eliminated, enabling features such as compressed rom support, non-default emulator configs (“Launch with [...]”), and startup/shutdown screen support. The old version of the plugin will still be available for those who prefer to wait for a stable release. However, the current beta still retains the old “Launch via Steam” context menu item whenever the universal Steam launching toggle is disabled. This should make it easy to switch between the old plugin’s Steam launching feature and the new beta’s universal Steam launching feature. A moderate amount of testing has been done on the new version, but seeing as this is a beta, there may still be some bugs under certain edge cases. If you find anything, please report your findings in the plugin’s forum thread. Before using the new beta, please read the new “How to Use” section in the documentation below. While in transition to the new plugin, please excuse the messy, unorganized documentation. It will be completely overhauled once a stable release of the new plugin is available. As of v0.9.0.2, the plugin now supports PC/Windows games, DOSBox games, and ScummVM games in addition to emulated games (roms). Neil9000 reminded me that Windows automatically "blocks" DLL files that are downloaded from the internet, so after following the instructions and placing the plugin DLL in your LaunchBox plugins directory, you need to right click the DLL, click 'Properties', and check the box at the bottom of the dialog that is labeled 'Unblock'. SteamLauncher is a LaunchBox plugin designed to allow roms/emulators to easily be launched within Steam, directly from the LaunchBox/BigBox interface, without any complicated setup or technical know-how. Simply open the LaunchBox/BigBox context menu for any title and select the option labeled, "Launch via Steam". March 2019 Beta: The new beta works differently than described above. Please read the new “How to Use” section in the documentation below. Example: If LaunchBox is located at 'C:\LaunchBox', you would copy the 'SteamLauncher' directory to 'C:\LaunchBox\Plugins'. This would result in 'SteamLauncher.dll' and any additional files (if any) being inside the directory 'C:\LaunchBox\Plugins\SteamLauncher'. It would be greatly appreciated if you would leave a comment/review on this page with a bit of feedback after installing the plugin and trying it out. Even just a short comment such as, "It works for me" or "Not working" would help out a lot. The plugin was tested on a very limited number of setups and environments prior to release, so any small amount of feedback will help in gauging whether the plugin generally works for most people or whether more testing is needed. Simply bring up the rom's context menu in LaunchBox (in BigBox or normal mode) and click the option at the bottom of the menu labeled "Launch via Steam"
After installing the plugin, there is now a simple ON/OFF toggle to enable the new functionality. In LaunchBox, this toggle can be found at the bottom of the “Tools” menu. In BigBox, this toggle can be found near the bottom of the root system menu (go back one level after starting BigBox). The new functionality is OFF by default. To turn it ON, simply click the menu item. When enabled, the menu item text will end with “(ON)” as displayed in the image below. When this option is turned ON, the old plugin’s “Launch via Steam” context menu item will be unavailable. When roms are launched with the plugin, the title of the game, as Steam sees it, will be in the format of: "Game Title (Platform Name)"
There appears to be a significant bug in the Steam Client right now that can cause problems with controller bindings under a variety of situations for certain users. If you launch a rom/emulator with LaunchBox and your controller bindings don't seem to be working, simply exit the game and launch it again. This may happen the very first time you try to launch a game using the SteamLauncher plugin (one time total after freshly installing the plugin, not on every new session in LaunchBox). If it happens frequently, please report the problem so further workarounds can be investigated. Unfortunately I don't run a dedicated call center to provide technical support... However, if you need help with any technical issues or bugs (see 'Debug Logs'), want to suggest a new feature (I am very open to any ideas), just want to chat, or anything else related to the plugin, feel free to send me a PM or shoot me an email at the address listed below. WootLauncher provides game load/exit screens, bezels/overlays and a pause menu with built-in PDF viewer for manuals, as well as support for emulator savestates and images to remind users of emulator control mappings. I looked into using RL but didn't feel like going through the trouble of setting it up, so I instead ironically went through loads of trouble creating this plugin. It's not meant to do everything RL does (caveat: I've never used RL), but maybe it does enough and you'll find it useful. It's designed to be easy to setup but also quite customizable. It will not support all emulators but should support "enough"; tested with RetroArch, MAME, Dolphin, Demul, and PCSX2 which I think are the more common ones used (anyway what I use). It should work with other emulators, too. NOTE: If criteria 1 and 2 are not met, the plugin will simply disable itself. ADDITIONAL PLUGINS: This DLL (Ao.Bigbox.Dropins.dll) contains additional plugins besides WootLauncher, but they are inactivate by default. You can activate these other plugins by editing the DLL's config file (Ao.Bigbox.Dropins.dll.config). 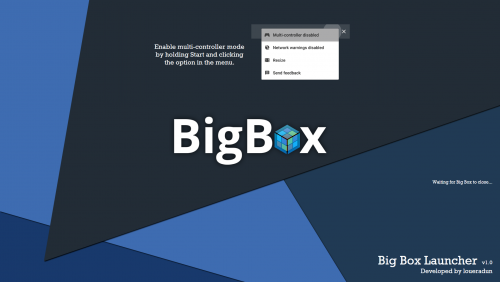 See the Ao.Bigbox Customs download page for additional details about these other plugins. This is the ONLY Windows 10 Arcade Classics Desktop Theme available anywhere (that I could find)! I know this is not specifically LaunchBox related but it is retro-gaming related so I though I would share. NOTE - YOU DO NOT NEED LAUNCHBOX TO USE THIS THEME. I created this desktop theme for Windows 10 from 33 images and 30 wave files found around the internet and use them for my arcade cabinet. I take no credit for any of the images or sounds but thought I would share the theme in case anyone's interested. I put the Sound Scheme and Images together to create an ARCADE CLASSICS WINDOWS 10 DESKTOP THEME. Most images are 1920x1080 except for 2 that are a bit bigger and don't look that good scaled down. 1. Place the Arcade Classics Folder containing the WAV files into your %WINDIR%/media folder. Press WINDOW KEY + R then type in %WINDIR%/media to open the folder. 2. Double-click on the ARCADE CLASSICS THEME file (Arcade Classics.deskthemepack). It should connect the sound scheme to the desktop theme. I also included a VBS script that makes the desktop wallpaper rotate to the next random image and a shortcut to this script that makes it easy to double-click and run the script. You WILL NEED TO EDIT THE SHORTCUT depending on where you move the VBS script but I included it for completeness. Put the VB-SCRIPT wherever you'd like then edit the shourtcut to point to the vb-script. I have my script in my ../Hyperspin/ folder and the shortcut on my desktop but you can place it in your Launchbox directory or wherever you'd like. Enjoy, and let me know in the comments below if you have any issues with the theme or what your favorite images are. 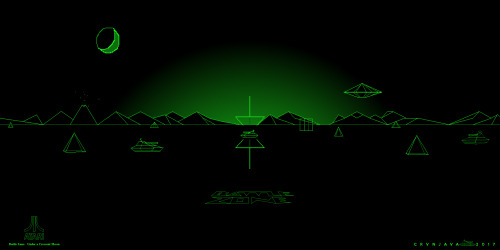 I like Space Invaders, Star Wars, and Battle Zone the best. 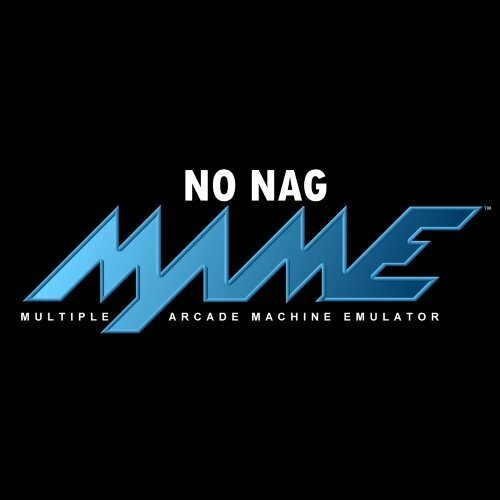 A complete Mame Non Merged rom set for the version you are downloading. You must have this downloaded to your hard drive to use the batch file. If you have a seedbox you can use the included NoFiller v2 - *.txt file to copy / paste to a filter and only download those files if you don't want to use your own internet bandwidth downloaded a complete Non Merged rom set. This is not the end all be all set of games of course but it is a good solid base to build your own personal set from rather than trying to pare down a complete set of roms. I tried not to include games that had really funky controls or light gun games though I did include some trackball and spinner games. Included in the zip file you will find a batch file, spreadsheet document and 2 text files (1 list of roms and 1 list of games). The spreadsheet will allow people an easy way to maintain and add games as required. The rom list will make it easy to download only those files if you use a seedbox to get your roms from a torrent and the games list will let you compare what you have imported into Launchbox to see if anything is missing. Games that have problems importing into LB, will need to be imported individually. Games that have more than 1 rom file for 2 player or split screen variant. List of games in this batch file. Plugin that scrapes Steam Information, banner, screenshots and video to a selected game. If you have trouble running the plugin and crashing due CAS error, please right click on the DLL's , properties and then unblock. Just paste the Steam URL from the game that you need to scrape information. This program is a scraper for your video files, to be used with launchbox. Imagine you have in your possesison a full collection of video snaps and theme videos for launchbox. Now, you might just have them all in your launchbox\videos\ folder, and everything will work. However, you might prefer to have only some games that you like in your launchbox installation, in a faster SSD, or you might have a Raspberry Pi, which has limited space. In those cases, you will want to only get the videos that correspond to the games you have in launchbox. This program does that automatically for you. You have to have your video folders with the same name of the folders in the launchbox directory. ie, if a folder is called "sega saturn" in launchbox, the correspondent in the folder that containsall your videos can't be called only "saturn". The blue button "Correct Names of video folders attempts to solve this, but you should check. If you want, you can run the program for just one game platform. To do that, check "Run for One Platform Only", press "Get Platforms" and select the platform you want to run for. --"Ignore platform if no original videos are present" - check this if you don't want to be reminded thatthe program didn't found any videos for a specific platform. --"Rename original videos": check this if you also want the original videos in your video collection to bepermanently renamed to the name that launchbox is expecting for each game. Any suggestions, you can find me on Launchbox's forum. This HelperControl has been integrated into LB 9.4. I have included a link with steps to help reference the library within big box. Thank you to everyone that has used this plugin and thank you to @Jason Carr for integrating it into the latest release. This XAML User Control is provided as is and without warranty and should only be used by Theme Developers. The purpose of this control is to add scrolling Horizontal text as done in the Aeon Nox theme. * Please read the PDF file explaining how it's used. Simple Plugin to automate download videos from youtube. One-click downloader: It will search automatically and download the first entry from youtube. Bulk Download supported! Big changes in this one. Some may like it, some may hate it. I now rewrite your ini file to help you out and maintain portability. New game menu item to Configure ScummVM. ScummVM will open with that game selected. No need to scroll through a big list to find/guess the specific game to configure. When using my menu items to configure scummvm, I will automatically rewrite absolute paths as relative paths to your ini file. I also gave you the Configure ScummVM from the Tools drop down. During generation of the *.bat launchers I will check that you have the emulator set up, if not I will fix it for you. Can't change ScummVM path or launcher path now. Just go with it, life will be better. Simple and Advanced modes. Advanced mode is what your used to. Simple mode is one click setup, creates full list of launchers, and emulator creation. It will ask if you want to filter the non english languages. It should be easy if it works the way I intend. click on the Tools->ScummVM Import Tool (simple) click on the Tools->Import->Rom Files to import the bat files as ScummVM games. Now scummvm can be portable easily in 3.3.1-plugin, you can rewriting the ini file. One click will read every single setting out of the ini file and find all absolute paths, check if the path is valid, than convert then to be relative to the launchbox directory. I owe you guys some new instructions. Updated with relative path for better travel! ONLY the DLL is updated... See the update note below lots of new stuff. This is the scummvm launching system I use with launchbox. Most importantly this allows you to get art and videos for BB. It works for me, so I'm sharing it. Put these ScummVMLauncher.exe files in your scummvm directory same directory as your scummvm.exe. I'm using 1.9.0.2-win32 currently. If you already setup my old launcher you can just delete the files and the launchers folder. This is how I use it. Setup the emulator for ScummVM and pick the ScummVMLauncher.exe file as the executable. import roms - pick the launchers folder to import. Enjoy in BB, with art and videos! This is a basic cmd/bat script. It's main purpose is to copy full sets from a huge source folder. It's only purpose is to copy or move roms and images to your LaunchBox Games or Images folder based on a list. Because the file extension is set up with a wildcard, it can copy or move any file with the same name of the rom. because it ignores the extension. Just make sure to run the .bat in the correct source folder, weather it be roms, images, videos ect. This is a .bat so you can view it in notepad if you want to see what exactly it's doing. I provided a readme file with example code I used and will continue to add more platforms. I've expanded upon my initial release of just copying mame roms, to copying or moving many platform roms or images. There is currently 30 platforms and 2 options for MAME and options for mame bios/device files. File names are based on the No-Intro rom/image sets. 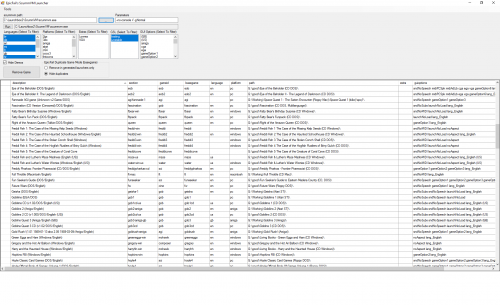 Each platform is a list of file names to be moved or copied, similar to a HyperList xml. I'm using file names only based off No-Intro sets, which is what seems to be what Hyperspin uses. So for example if the HyperList xml of Atari 2600 has 667 roms, I've created a file list to copy/move 667 roms. done you can move/rename the destination folder to where ever you want. Place the .bat file in the folder of the source of your roms, images, or whatever source your needing. Run the .bat by double-clicking it. to right click the .bat and "Run as Administrator"
List the Platform you want to copy or move. Read on screen instructions and press any key to start. Read the provided ReadMe.txt file for any other information or how to read the log file. If you have any issue let me know and I'll do my best to answer them here. Safe bet is using the Copy Version as it only copy's, but I've used both and had no issues. MainStoryLength: Enable/disable main story length update. Default: true. MainExtraLength: Enable/disable main story + extra length update. Default: true. CompletionistLength: Enable/disable completionist length update. Default: true. MainStoryFieldName: Change main story length custom field name. Default: Main Story Length MainExtraFieldName: Change main story + extra length custom field name. Default: Main + Extra Length CompletionistFieldName: Change completionist length custom field name. Default: Completionist Length Note: If you change the fields names it will not update the games that already have information, so you will end up with duplicated fields with different names and you will have to manually delete them (edit game -> custom fields tab). So config the first time and stick with that. Yahoo killed their YQL API on January 3rd 2019, which this plugin uses to get the weather data, so it no longer works. Until I have time to switch it to a different weather API it will remain broken. 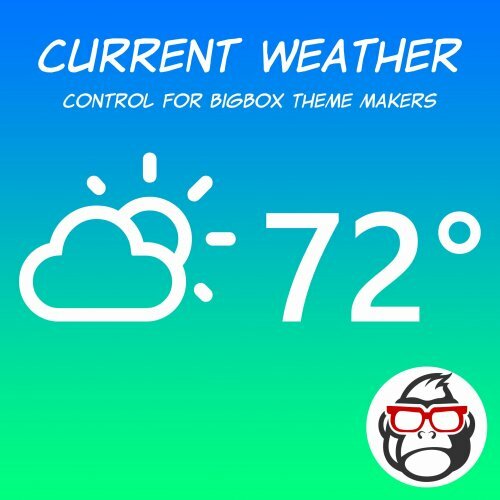 This control will periodically retrieve the current weather conditions, displayed as a relevant icon, and temperature for the location you choose and display them in a BigBox theme. The location and display units (C or F) are end-user configurable. What this means is this: anyone who uses a theme that incorporates this control can set their location and display units to either Celsius or Fahrenheit by a simple edit of a config file (thank you @eatkinola for the help with that). I'm not sure if there is any want for this kind of information in BigBox (the idea came from looking at my phone's home screen), but the more options for theme's the better. This isn't a plugin that can just be dropped into the plugin's folder, it's a user control that theme makers (or anyone with enough knowledge for that matter) can incorporate into their themes much like my other controls for controller status, battery percent, etc. I've included instructions (with pictures) on how to get this into a theme. Launchbox is great, but it doesn't run on linux. RetroPie is great, but the scraper is terrible. This script will copy your roms, metadata and images from LaunchBox for use with RetroPie. It will also reduce the size of the copied images to make them load faster on the Pi. Edit the attached file to choose your platforms, and decide if you want everything, or only your favourites. I did a simple plugin to help anyone that streams and is using Launchbox, basically I write the current playing game information to a folder (Launchbox main folder + obs). 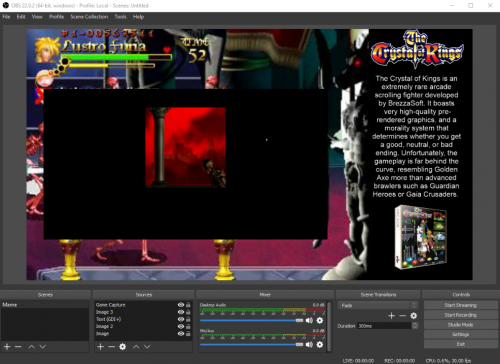 So using OBS software you can put the information on display to stream it. This time I did a video for the usage, enjoy! Hey, i have been using this for a lot of years and since i have noticed that people have need here for unblocker , i share mine which is automated. It will add unblock <directory> to right click of mouse to any folder and will "unblock" all directories within. [HKEY_CLASSES_ROOT\*\shell\UnBlock (file)] [HKEY_CLASSES_ROOT\*\shell\UnBlock (file)\command] @="C:\\ProgramData\\streams.exe -s -d \"%V\"" [HKEY_CLASSES_ROOT\Directory\shell\UnBlock (directory)] [HKEY_CLASSES_ROOT\Directory\shell\UnBlock (directory)\command] @="C:\\ProgramData\\streams.exe -s -d \"%V\"" [HKEY_CLASSES_ROOT\Directory\Background\shell\UnBlock (directory)] [HKEY_CLASSES_ROOT\Directory\Background\shell\UnBlock (directory)\command] @="C:\\ProgramData\\streams.exe -s -d \"%V\""
If u do use mine, then unpack Unblocker_unpack_me.zip and inside u will find two files, streams.sfx.exe and unblocker.exe , double click each of them and thats it. U will have unblock directory under right click when targeting folder. When u use "unblock directory" for the first time it will ask for some eula agreement , i have nothing to do with that, that is from sysinternals. Just press accept. Note; Originally taken from Reddit, posted by Echoj2. I found these while looking into making an English 1G1R set. It includes Japanese games that are not English but have little to no Japanese text which afaik is very difficult to do using clrmamepro. You will to build your own up-to-date No-Intro set or you will be missing some roms. This morning I made some No-Intro-based batch files for various console and handhelds for someone in another post. Seeing as they might be useful to some people, I decided to post them here as well. 1G1R means "One Game One ROM", which further means that there is only one copy of each game. These were made with the following ROMs in the order listed. Just grab each ZIP for the systems you want from the folder, unpack them, run the batch files in the system's No-Intro ROM Set's ROM ZIP folder, then you'll have a new folder of ROMs including just the English games. You should know that if your No-Intro ROM Set is outdated on the names for the ROM ZIPs, then the batch files will not get every game; the same goes for if they are updated as well, but only Japanese games change names often. That's just how things go and you'll have to update your No-Intro ROM Sets then make your own 1G1R ROM Set to be certain you have everything, which you can read how to do directly below. However, keep in mind you can also use my new future-proof DAT files instead of No-Intro's latest 1G1R DAT files, with the advantage of mine being that I have the multi-cart re-releases and special controller games removed (among other things). 2017-11-07: Cleaned up Atari 2600 bat. Think it is the only way to get a No-Intro 1G1R ROM Set (barring the special controller required games) for Atari 2600 on the internet now. Still need to prune bad prototypes... well... the ones that have the (Proto) tag and don't work or are too unfinished; published prototypes (yeah, they did that back then) are treated the same as published finished games since they were widespread released. 2018-03-19: Today I finished the Atari 2600 batch file. It's about as good as it gets as far as I'm concerned. The unreleased game prototypes have been pruned down to what appears to only be the games that are complete enough to be called games. Can't be sure I have every Atari 2600 game or the best version of games that were renamed and re-released, but its current state is about as good as it gets. 2018-03-20: Updated the problem spreadsheet. Mostly a bunch of N/A for lots of systems. Updated some batch files here and there, though nothing major outside of finally getting rid of the emulated NES ports in the GBA batch file. 2018-04-06: Lots of updating over the past few days. Most Semi-Exclusive Europe games should now be replaced wherever possible with English-Friendly Japan games. Numerous Special Controller Required games also removed, though not completely. 2018-04-09: Added Magnavox - Odyssey2 batch file in preparation of the new RetroArch update that will add keyboard to gamepad remapping. 2018-04-10: I've done horrible things today. Fixed N64 batch file so that it gets "Superman - The New Superman Aventures" and learned more about a game I wish I could forget. Added the unlicensed Tengen and Codemasters games to the NES batch file due to their their fame/notoriety, respectfully. Tengen made some fine games, while Codemasters... made a few good ones... I promise. Updated all batch files to No-Intro names as of 2018-04-08 and have made a mental note to not update again until nearly future-proof custom 1G1R DATs are made. 2018-05-16: The future-proof DATs have been made! They are included with each batch file in case there is a name issue with batch files. Just need to tackle the prototype pruning, then prune the whole Odyssey2/Videopac batch/DAT due to the emulators incompatibilities and make a Videopac+ batch/DAT that has gone through the same process as the Odyssey2/Videopac. 2018-05-18: Added 1G1R lists for Sega CD and TurboGrafx-CD. Hope someone finds them useful, though I can't say for certain how accurate the TurboGrafx-CD one is due to the fact I only spent a minimal amount of time time removing USA released games from my main Japan collection: please report any duplicates. 2018-07-04: Full update of batches and DATs, and slightly improved all of them (hopefully). Added Intellivision now that No-Intro supports it. Put all DATs in a single archive since anyone that knows how to use them would just want to get them, and save all other users from downloading something they aren't going to use. 2018-07-13: Updated batches and DATs again. Narrowed scope of project to just official releases, a few notable unlicensed on the NES, and two prototypes that should just be unpublished in the USA yet complete otherwise. 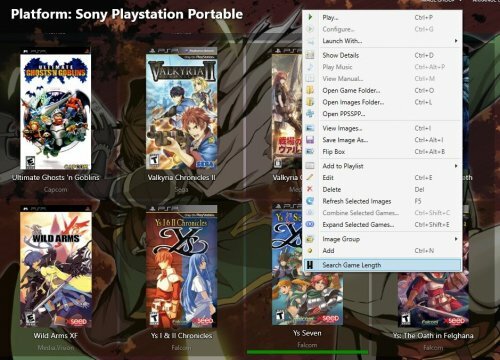 PCSX2 Configuartor Next is a plugin for LaunchBox that allows users to easily configure PCSX2 on a per-game basis. The plugin also allows for pre-optimised configs to be downloaded from right within LaunchBox for a whole host of popular PS2 games, from Zombeaver's excellent PS2 Configuration Project. The plugin is easy to install and simply needs to be downloaded and extracted. The archive contains a folder called "PCSX2 Configurator Next", this should be placed in the root of the "Plugins" in the user's LaunchBox directory. Any previous versions of the plugin should be removed before attempting to install this version. "Create Config" - Creates a new config for the game in question based on the users current PCSX2 settings, If a config already exists this will overwrite that config with a new one. "Download Config" - This will download one of Zombeaver's Config and set it up to be ready to play for the selected game, this will be greyed out if now config is available, and will change to "Update Config" if a new update is available for the downloaded config. "Remove Config" - This will remove the current config for the selected game, and will be greyed out if there is no current config. "Configure With PCSX2" - This will open PCSX2 with the config for the selected game loaded, allowing you to customise your config for the selected game (Downloaded Config's can also be tweaked). Once a game has a created config this can also be done using LaunchBox's built in "Configure" from the games context menu. Both these options will be greyed out if there is no config for the selected game. There is also a "settings.ini" file created in the plugins folder ("%LaunchBoxDir%/Plugins/PCSX2 Configurator Next"), this can be tweaked manually but most settings don't need to be touched in most cases. Some people may wish to change the "GameConfigsDir" which is where the created configs are stored, this deafults to the users PCSX2 "inis" directory. There is currently no inteface to modify these settings, but that is planned in a future version. This version of the plugin is the successor to the original PCSX2 Configurator plugin, with a completely re-worked codebase from that version, and full compatibility with LaunchBox.Next (which is now the current version of LaunchBox). The main reason "Next" was added to the name is to initially seperate it from that (now discontinued) verison of the plugin. This release is currently in Beta and the "Next" from the name will probably be dropped eventually for a stable release with more features. I have personally put a lot of time and effort into all versions of this plugin, with it essentially being my free-time pet project for the last year and a half. Though I know the plugin would not be what it is today without Zombeaver who really helped me to bring this plugin to the next level, by allow me to integrate his PS2 configurations into it as well as creating artwork and helping me test the plugin. I would also like to say a big thank you to spectral, neil9000, and kmoney for helping me out with testing, and of course Jason Carr for making LaunchBox and implementing some of my requested changes into the plugin engine. I intend to keep working on this plugin, and fix any reported bugs as well as update the plugin with new features. So if you have any problem or feature request's hop over to the plugins thread on the forums and let me know. The project is also open sourced under the MIT license and can be found on my github. GamestreamLauncher is a simpler launcher application to help assist with operations to be completed before and after a gamestream session. This can be used to launch any application, but I find it works great with BigBox as a launch point for my PC and emulator games. Copy the extracted folder to your desired location. Run GamestreamLauncher.exe to configure the launcher. Add a custom game in Geforce Experience that points to GamestreamLauncher.exe. The launcher is configured with the config utility when launching it for the first time. You can run the config utility again by deleting the user.config file that can be found at %localappdata%\GamestreamLauncher under the proper version.